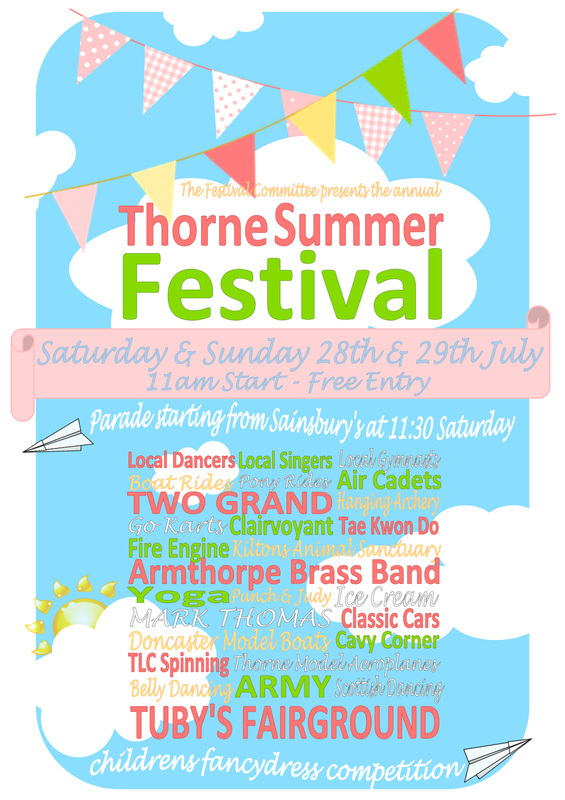 Thorne Moorends Town Council has worked hard, and will continue to work hard, to support the Thorne Festival Committee's efforts to bring great annual events to our community and we hope that this years Festival was enjoyed by all. The Town council contributes to the event both financially (by way of a grant) by providing staff support on the weekend itself and also in recent years, by designing Festival posters and attending the Summer Festival Committee meetings. The event was a huge success again this year and we look forward to working with the Summer Festival Committee in the coming months ready for next years extraviganza.